We convened as a teleconference using the Zoom.US service on April 16th, 2018 at 10:30AM PST. The group began with some small talk, then discussed what modifications would be needed for the Category picker on the Visual Editor for Mediawiki. Frank mentioned that a scrolling menu may not work, and instead have a whole modal/view of all the options. Shaun said a standard dropdown might work. So more discussion needed here. We discussed the benefits of separating out some of the "robotic" exploration vs human exploration categories based on Bruce's feedback. Then we discussed the benefits/drawbacks of organizing by past/present/future missions. Also "robotic" may not be inclusive of orbital spacecraft missions. (Most people connotate robotics as land-based). Shaun proposed that Mission Planning or Concepts should be a top-level category instead of having 2-3 major sections on missions. Frank's statement: "Exploration is Exploration". The group struggled with these and thought that putting these side-by-side would be helpful to compare & decide. Frank added "(Planning)" to the end of IV. Human Settlement. Also to create an Urban Planning category with several related ones underneath. Kerri suggest using Google Docs for commenting on this list. Frank preferred keeping them in the wiki. Shaun suggested Mining & Manufacturing should be a 2nd-level category. ISRU was removed. Outreach vs. Advocacy - the group agreed with Outreach for this instead of Advocacy. Ultimately agreed that we should avoid duplication whenever possible because all Mediawiki categories are flat and should have unique names. Eventually we settled on the term of "Spacecraft/Robotic" to denote non-human missions, we decided that a "mission" that is in planning stages but approved should have its own page, and that page should be its permanent mission page throughout its lifecycle. So we wouldn't need to move a topic from future to present to past if it is an "approved" mission. James suggested we look at the Wikipedia list of Mars categories and see if we missed anything. (It's at the bottom of the page when you expand “Mars"). 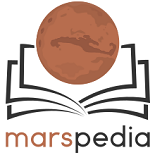 Also, look at the Wikipedia categories under Mars. This page was last edited on 18 April 2018, at 05:04.